A brief history of the three Cape Arago Lighthouses, four Lifesaving Stations, a bridge that periodically disappears and reappears. And of course, the onions! Richard Whitwer is retired after 40 years as a social work administrator and is now able to devote his time to volunteering at the Coos History Museum and his church, creating stained glass pieces, woodworking and attending Steve Grief’s classes. 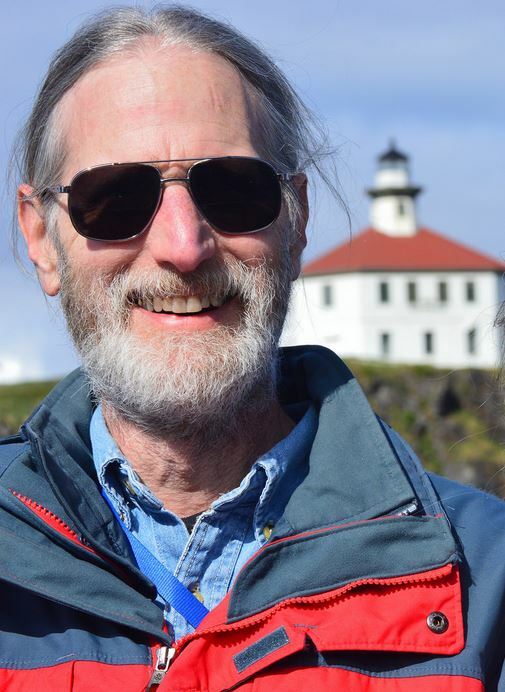 Since moving to the coast 30 years ago, he has studied and visited lighthouses along the west coast, volunteered as a docent at the Coquille River and Umpqua lighthouses, is past president of the Oregon Chapter of the U.S. Lighthouse Society and a current member of the United States Lighthouse Society.